Moneyball, the movie anyway, was fantastic. 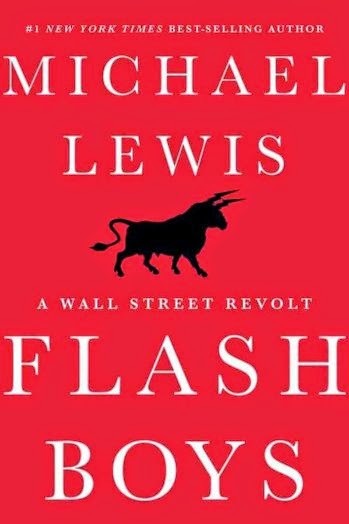 Never read the book from Michael Lewis and I won't be reading Flash Boys either, just released at the end of March. Chances are though, I'll be watching the film based on Lewis' book. According to Deadline, Flash Boys - what a great title, eh? - has been acquired by Sony Pictures and Scott Rudin who produced the hit adaptation of Moneyball starring Brad Pitt, along with Jonah Hill in a career-changing role. Flash Boys is about some Wall Street types who banded together to reform the stock market, changing the rules and thwarting the ability of high-frequency traders to dominate the stock market using insider info. According to Lewis, many of these men walked away from mega-money positions in order to investigate big banks, stock exchanges and high-frequency trading firms. I have a feeling that a guy like the one played by Jonah Hill in The Wolf of Wall Street would be at the top of the Flash Boys hit list. Lewis long list of non-fiction credits includes The Blind Side which earned Sandra Bullock her Oscar; the author has a couple of other books in development - The Big Short about the financial crisis of 2008 (Brad Pitt is reportedly attached) and Liar's Poker based on his own days as a bond trader at Salomon Brothers in the 1980's. Lots of these Wall Street movies coming out. I'm never sure if Hollywood admires the balls of these guys or is trying to show us that they need to be stopped.